Yesterday Mr. B and I went to see the Nationals play the Cardinals at Nationals Park in D.C. and it was an amazing night. The weather was PERFECT, the full moon was out, watching the game, and the Nationals, known for being really awful, actually won. I played softball for 10 years so baseball is one of the only sports I understand and can watch for more than an hour. Baseball is one of those intrinsically American things you don’t appreciate until you start thinking about other countries’ characteristics. France has sitting in cafes for hours at a time, the Middle East has hookah on rooftops, and America has baseball. You will see a crosscut of Real Americans at baseball games, and it’s pretty amazing if you stop and think about it. 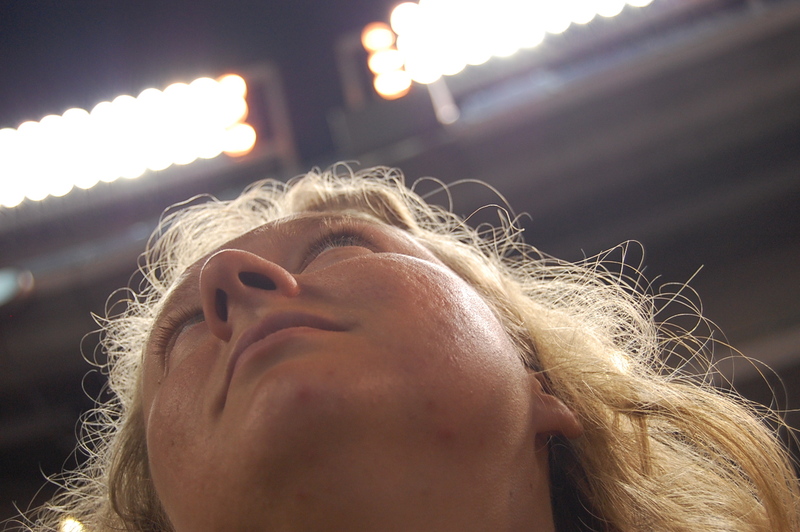 One of the benefits of baseball stadium lighting is that I can look all dramatic. 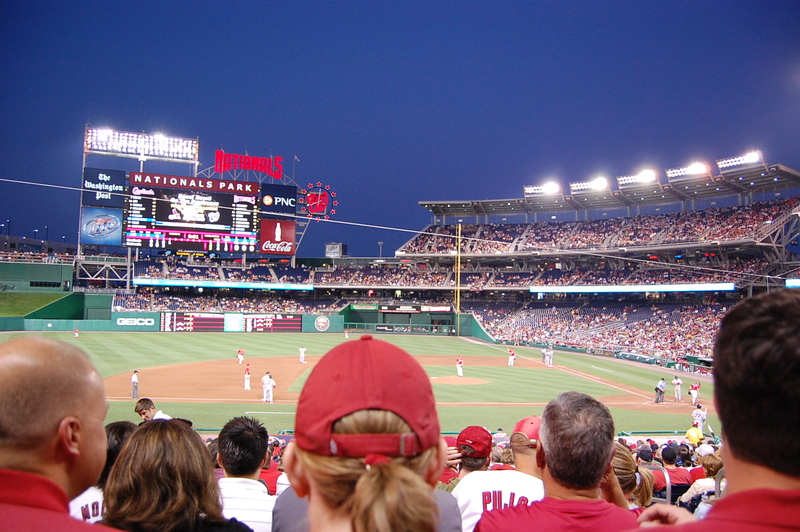 [Yesterday Mr. B and I went to see the Nationals play the Cardinals at Nationals Park in D.C. and it was an amazing night. The weather was PERFECT, the full moon was out, watching the game, and the Nationals, known for being really awful, actually won. I played softball for 10 years so baseball is one of the only sports I understand and can watch for more than an hour. Are you ready for some really pretentious pictures?